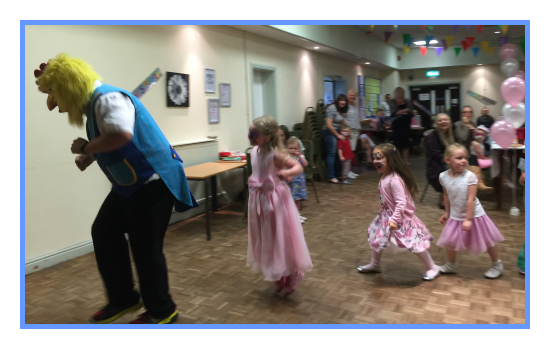 Needing A Kids Entertainer At Your Wedding? Have you got your speeches covered for the children? why would I need a children’s entertainer at my wedding? First thing is children become bored at these events very easily especially at speeches. 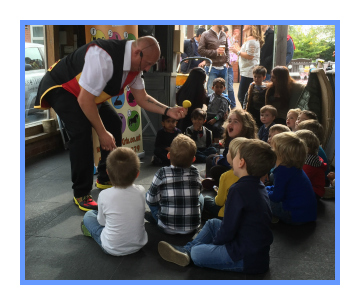 There are different times you can have the magic show or balloon twisting. Kris can perform a childrens magic show or party games when the speeches are on. This may not be as expensive as you think. When you have got the children’s toys/colouring books and bubbles you probably could of booked Crazy. Kris and he also has gifts and prizes in his show! This was such a great idea and even saved me money in the end compared to what I was going to get for the children! Many thanks again for keeping the kids laughing and entertained! What makes Kris different from other entertainers? 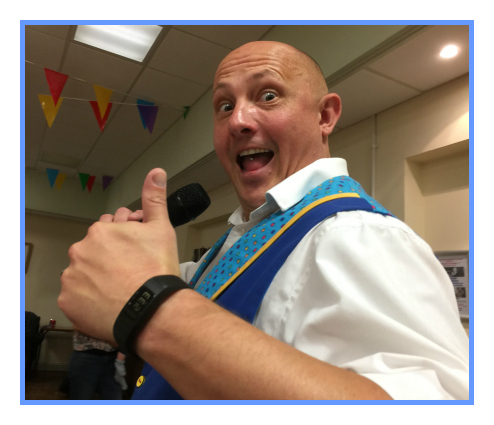 Kris is a specialist in wedding entertainment and has done a vast amount of them covering the UK. Kris not only is a professional close up magician he is a family entertainer as well! The children did not stop talking about you, mind you when you got the adults involved I think they loved it more than them! just sheer class A1 entertainment! Thanks ever so much for making our day even better! Having a kids entertainer at your weddings gives you lots of options. 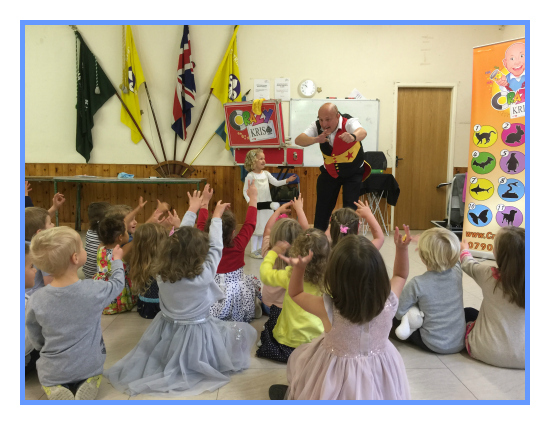 You can have all round entertainment for everyone When the speeches are on have a show in a separate room which keeps the children’s amazed and entertained it Keeps restless children occupied. Have Crazy Kris balloon modeling for the children or a mini disco & games. 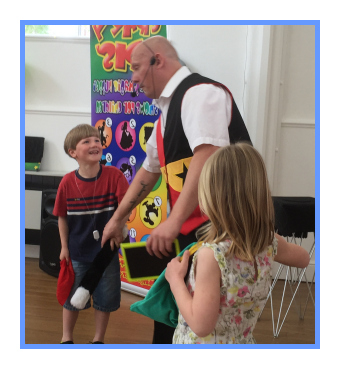 Cracking magic show, I love magic myself but the kids just loved it, I will recommend you to my friends for there children’s birthdays with out a doubt! The bronze package is crazy Kris’ once hour of comedy crazy magic show. This package consists of comedy, magic and audience participation. This will have the children astonished and rolling around in laughter. If you are hosting a larger event Crazy Kris will arrive with his own PA system, so you that everyone will be able to hear what’s going on with the crazy antics! Just a quick note to say you was brilliant keeping all the kids entertained on my special day, I have sen some kids parties but you just really made it shine above the others! Kris will bring the music and provide the prizes with no elimination games making sure everyone has a great time. Booking the platinum Children’s entertainment package guarantees all the children have a great time and you have a stress free day. Thanks again for making my wife happy on her special day by keeping the children busy at all times, It was something we was dreading them running around but you just kept them under control, I dont know how you did it! The balloons was a nice touch and the kids loved them. Through out the evening before the cutting of the cake and the first dance.